Abstract: Cognitive systems, systems that incorporate significant artificial intelligence (AI) functionality, have become ubiquitous in recent years. Major technology companies invest significant efforts in providing AI functionality, either to use in their own services or to help customers build cognitive applications. Enabling AI for business has become a major effort for IBM Research. This keynote will provide an overview of core research topics, challenges and solutions to build AI applications, and will put a particular effort on the issue of integrating cognitive applications and services with the data they rely on at training and inference time. This requires a novel approach to manage the integration of compute resources with data sources and destinations, both for AI in the data center and Cloud as well as on distributed devices in mobile settings or the Internet of Things. Bio: Heiko Ludwig is a Research Staff Member and Manager with IBM’s Almaden Research Center in San Jose, CA. Leading the Ubiquitous Platforms Research group, Heiko is currently working on topics related to container-based systems and Platform as a Service (PaaS), IOT platforms, SLA and quality management, as well as platform security. This work contributes to various IBM lines of business. Throughout his career he was mostly dealing with the issues of scaling of systems and systems that cross organizational boundaries. Both are technically challenging topics that evolve over time with the platforms we use and the applications we like to run on, from B2B applications on the early Internet to issues of mobile systems using the Cloud - IaaS or PaaS. How to build systems and services that scale? How to monitor, manage performance and manage SLAs of these systems effectively. How to reach over organizational boundaries, e.g., connecting processes of different providers, in a robust and secure way. Heiko published more than 100 refereed articles, conference papers, and book chapters as well as technical reports. He is a managing editor of the International Journal of Cooperative Information Systems. He is an associated editor of two other journals, and served on about 150 program committees of conferences and workshops in the field, co-organizing workshops and serving as PC Co-Chair and General Co-Chair on a number of conferences. He serves regularly on PhD Committees of leading universities and gives lectures in master and PhD classes on numerous occasions. 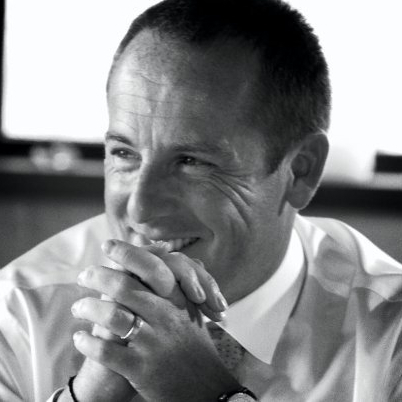 He also gave a number of keynote speeches at conferences and workshops in the field. Heiko served as a project reviewer of EU IST program and national research funding programs. He represented IBM in the OGF GRAAP working group, publishing the WS-Agreement standard. Prior to the Alamaden Research Center, Heiko held different positions at IBM in the TJ Watson Research Center, the Zurich Research Laboratory, and IBM’s South American Delivery Centers in Argentina and Brazil. He holds a Master's (Diplom) degree and a PhD in information systems (Wirtschaftsinformatik) from Otto-Friedrich University Bamberg, Germany. Abstract: Reuse and integration is not limited to the information world. This talk will cover the history of Naval technology development. It will be seen that new technologies have been adapted and reused for defense applications. In particular, the history of Naval science and technology in San Diego will be highlighted. We will cover how technology has been reused and integrated to create some recent military and civilian capabilities and explore how this trend is expected to continue and accelerate in the future. The talk will cover the history of Navy technology on Point Loma, the Navy Radio Lab through NOSC to SSC Pacific today. We will discuss a plethora of technical areas and their evolution (in some cases revolution). The pivotal role of reuse and integration in the development of hardware of all types will be emphasized. Bio: Dr. Stephen D. Russell is the Director of Science and Technology and Chief Technology Officer (CTO) for the Space and Naval Warfare Systems Command (SPAWAR) and is Director of the Science and Technology Department at the SPAWAR Systems Center Pacific (SSC Pacific) in San Diego, California. He also serves as the SPAWAR National Competency Lead for both Science and Technology and Research and Applied Sciences across the SPAWAR Enterprise. He leads a highly technical team of over 800 civilian, military and contractor support personnel including scientists, engineers, technical specialists and administrative staff members, and five Flag-level Senior Scientist/Technologist (ST) direct reports, in executing an annual budget of over $350M, and influencing over $1.2B supporting research, development, acquisition, test and evaluation in the command, control, communications, computers, intelligence, surveillance and reconnaissance (C4ISR) domains. Dr. Russell has worked in the Federal service at SSC Pacific, and its predecessor organizations, since 1986. From June 1986 to March 1997, Dr. Russell was a physicist leading a variety of research and development projects at the Naval Ocean Systems Center. In March 1997, Dr. Russell was selected as the Supervisor of the Advanced Technology Branch at the Naval Command, Control and Ocean Surveillance Center. In April 2005, he was selected as the Manager of the Electromagnetics and Advanced Technology Division at SSC San Diego. Dr. Russell was appointed to the Senior Executive Service in March 2010 as Director of the Research and Applied Sciences Department at SSC Pacific, and assumed the duties of SPAWAR Director of Science and Technology and CTO in March 2013. In these roles he led his team in research & development, testing and Fleet support in the areas of electromagnetic and antenna modeling, design and testing; radio frequency and optical propagation; communication systems interoperability; photonic devices and systems; precision navigation & timing; energy & environmental sciences; unmanned systems; biosciences; and other C4ISR technologies which were successfully transitioned to operational use and delivered many new capabilities which support National security. Dr. Russell received his bachelor’s degree with a double major in physics and earth & space science from the State University of New York at Stony Brook in 1979. He received his master’s degree in physics and doctorate degree in physics from the University of Michigan in 1981 and 1986, respectively. He was elected Fellow of the National Academy of Inventors in 2015 and has received the Armed Forces Communications and Electronics Association (AFCEA) International Benjamin H. Oliver Gold Medal in Engineering in 2008, the SSC Pacific Lauritsen-Bennett Award for Excellence in Science in 2005, the Naval Meritorious Civilian Service Award in 2003, the Naval Award of Merit for Group Achievement in 2002, the NASA Space Act Award in 2002, and the Federal Laboratory Consortium Excellence in Technology Transfer Award in 2001. Dr. Russell is author or co-author of more than 70 journal articles, technical reports, and publications in professional conference proceedings. He holds over 115 U.S. and foreign patents issued or pending, with over twenty percent commercially licensed. He is a member of the American Physical Society, SPIE- the International Society for Optical Engineering, the Armed Forces Communications and Electronics Association and the National Defense Industrial Association. Dr. Russell is a member of the Editorial Board for the Naval Science and Technology FUTURE FORCE Magazine, and also serves as Navy liaison to the Advisory Committee for the San Diego State University Electrical and Computer Engineering Department; the Advisory Board for the Office of College, Career & Technical Education of the San Diego Unified School District; and the Corporate Affiliates Program Executive Board of the Jacobs School of Engineering at University of California, San Diego (UCSD). Abstract: The Internet of Things (IoT) paradigm refers to the network of physical objects or "things" embedded with electronics, software, sensors, and connectivity to enable objects to exchange data with servers, centralized systems, and/or other connected devices based on a variety of communication infrastructures. IoT makes it possible to sense and control objects creating opportunities for more direct integration between the physical world and computer-based systems. IoT will usher automation in a large number of application domains, ranging from manufacturing and energy management (e.g. SmartGrid), to healthcare management and urban life (e.g. SmartCity). However, because of its fine-grained, continuous and pervasive data acquisition and control capabilities, IoT raises concerns about security and privacy. Deploying existing security solutions to IoT is not straightforward because of device heterogeneity, highly dynamic and possibly unprotected environments, and large scale. In this talk, after outlining key challenges in IoT security and privacy, we present initial approaches to securing IoT data, including firewall techniques to prevent IoT devices to be compromised and used by botnets. 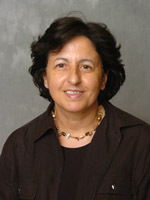 Bio: Professor Elisa Bertino joined Purdue in January 2004 as professor in Computer Science and research director at CERIAS. Her research interests cover many areas in the fields of information security and database systems. Her research combines both theoretical and practical aspects, addressing applications on a number of domains, such as medicine and humanities. Current research includes: access control systems, secure publishing techniques and secure broadcast for XML data; advanced RBAC models and foundations of access control models; trust negotiation languages and privacy; data mining and security; multi-strategy filtering systems for Web pages and sites; security for grid computing systems; integration of virtual reality techniques and databases; and geographical information systems and spatial databases. Professor Bertino serves or has served on the editorial boards of several journals - many of which are related to security, such as the ACM Transactions on Information and System Security, the IEEE Security & Privacy Magazine, and IEEE Transactions on Dependable and Secure Computing. She is currently serving as program chair of the 36th International Conference on Very Large Data Bases (VLDB 2010). 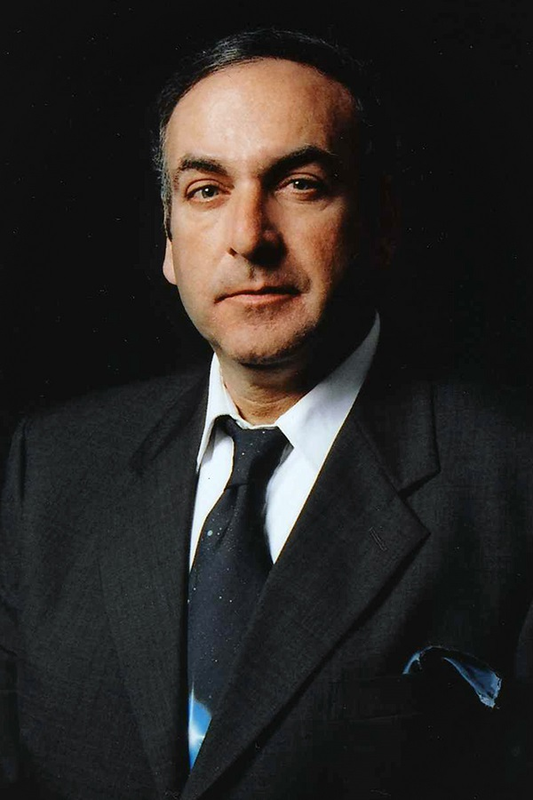 Professor Bertino is a Fellow of the Institute of Electrical and Electronics Engineers and a Fellow of ACM. She received the IEEE Computer Society Technical Achievement award in 2002 for outstanding contributions to database systems and database security and advanced data management systems, and received the 2005 Tsutomu Kanai Award by the IEEE Computer Society for pioneering and innovative research contributions to secure distributed systems. She is recently served in the IEEE Computer Society Board of Governors and as Chair of ACM SIGSAC. Elisa Bertino, "Security Techniques for Smart Mobile Devices", Sypris Electronics, 02/01/2012-12/31/2012. Elisa Bertino, "REU - TC:Large:Collaborative Research: Privacy-Enhanced Secure Data Provenance", National Science Foundation, 8/1/2011-7/31/2016. Sorin Matei, Elisa Bertino, Yu Michael Zhu, Chuanhai Liu, "KredibleNet - Building a research community and proposing aresearch agenda for the study and modeling of reputation and authority across informal knowledge markets", National Science Foundation, 01/01/2013-08/31/2014. Stephen John Elliott, Elisa Bertino, "Advancing Commercial Participation in the NSTIC Ecosystem", NIST, 10/01/2012-09/30/2013. Abstract: Currently UAVs are controlled by finite state machines. This talk will discuss our BIRD project, which represents an attempt to build swarm intelligence into UAVs, which goes beyond deep learning and statistical data mining. Algorithmic decomposition and reuse play a central role in development. The need for knowledge amplification, the KASER, and where permissible, hints of what's to come will be provided. Bio: Dr. Stuart Rubin is a research scientist in the Advanced Concepts and Applied Research Branch at the Space and Naval Warfare Systems Center Pacific (SSC Pacific), Code 71740, and a Fellow of the Society for Information Reuse and Integration (SIRI) and the National Academy of Inventors (NAI). 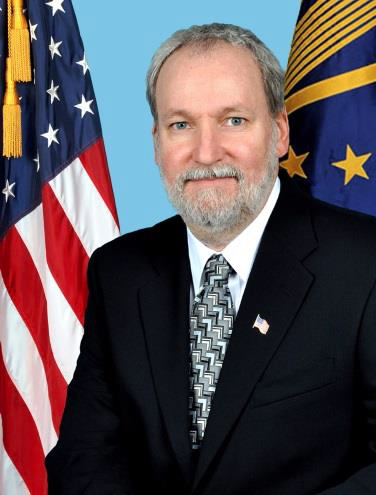 He is the author or co-author of over 300 publications and over 35 issued patents assigned to the Navy. He is the inventor of the KASER knowledge amplifier, which was first applied to the F-16 radar fault-diagnostic system with other applications pending. His focus areas of interest include computational creativity and knowledge-discovery systems - emphasizing heuristic, evolutionary, fuzzy, and randomization-based methodologies.